Teeth problems usually happen when you least expect them and can often be a painful experience. 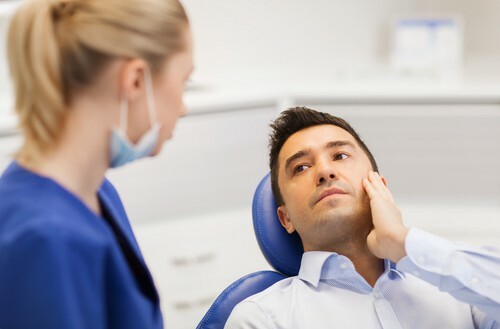 Dental pain can occur for many reasons – however the most important outcome is to immediately alleviate the pain you are experiencing and then determine a permanent solution to ensure you remain pain free. Dental on Kennedy provide emergency dental services for people located in the Gold Coast and its surrounds. We always keep emergency time set aside in our day. If you require immediate assistance contact us and we will book you in as soon as possible. Dental on Kennedy prides itself on its commitment to providing the best dental treatment available in the quickest time possible at our friendly practice. We value our patients and understand that emergencies do happen. We will ensure that we are there when you need us most. With extensive experience in emergency dentistry our team will be there to provide assistance and care for any dental issues. If you have an emergency no matter what time of day it is contact us and we will get you into the practice as soon as possible.